The College of Coastal Georgia has an ongoing review process based on learning outcomes for all baccalaureate and career associate degree programs, as well as select associate degree for transfer programs. Outcomes specific to educational programs are identified through both internal and external institutional effectiveness processes. Planning, assessment, and improvement are a shared responsibility, and the process involves every unit and subunit reporting annually on goals, assessing those goals, and making improvements based on findings. The College recognizes the vital importance of academic assessment through a comprehensive institutional effectiveness plan. Understanding the connections between CCGA’s strategic plan (Coastal Vision 2021), core curriculum outcomes assessment (institutional level) and academic program review – annual, comprehensive and accrediting agency – is necessary to have a complete picture of this institutional effectiveness process. The Office of Institutional Effectiveness is responsible for creating a variety of assessment reports to support professional development and decision-making activities. All academic programs at CCGA undergo annual academic program reviews with the primary goal to improve students’ learning. Faculty responsible for each academic program within each School are required to define and articulate clear, measurable student learning outcomes for program completion; identify methods and criteria for measuring attainment of those outcomes; gather evidence on a regular basis to analyze the extent to which students are achieving these outcomes across the program; and, use the results of these assessments to make improvements to the program. Each program is required to develop an assessment plan that details how the student learning outcomes process will be (or is being) implemented, and reviewing and update that plan periodically. The Office of Institutional Effectiveness (OIE) collects and maintains these plans centrally (Institutional Effectiveness Intranet) and offers consultation, technical services (e.g., conducting surveys and focus groups, guidance in creating rubrics), information on peer institution assessment strategies, and other resources to support faculty across campus in carrying out meaningful assessments. School Deans and faculty evaluate assessment results to identify ways to improve the educational environment and enhance student success. 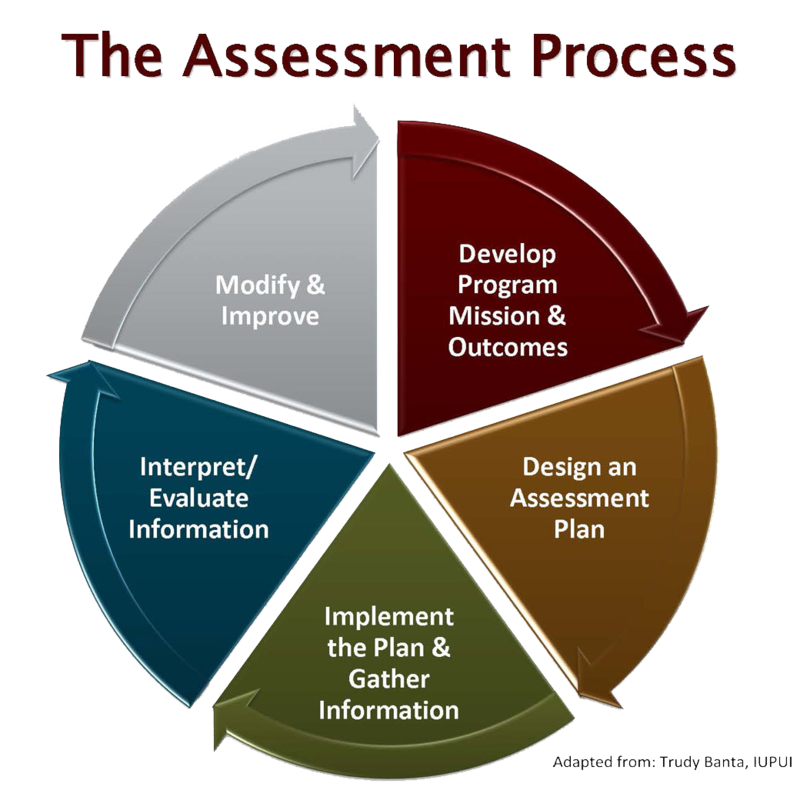 Implementing the outcomes assessment process requires a plan that explains what will be measured, how it will be measured when the assessment will occur, who is responsible for assessment activities, and how the assessment information will be used. All academic programs also use curriculum maps showing the relationship between the program learning outcomes and course content that helps shape and focus assessment for the academic degree programs. Similarly, every course identifies and publishes in the course syllabus those student learning outcomes that support program assessment aligned with curriculum maps. To ensure that the framework is maintained effectively, the Strategic Planning Accountability & Assessment Review Committee (SPAARC) was created as the overall coordinating body for institutional effectiveness and charged to review, monitor, and revise the institutional strategic planning framework based on an ongoing, comprehensive, broad-based and institutionally integrated system for assessment and evaluation. All administrative and educational support services unit-planning efforts are linked to, and prioritized, by the College’s annual budget planning cycle. This ensures that financial projections directly influence decision-making. Unit assessment planning is also aligned with the College’s mission and integrated into annual and long-range strategic plans. As part of the annual assessment process, each administrative and educational support services unit establishes goals that are derived from and consistent with the stated mission and vision of the College and responsive to the institutional strategic plan. Each organizational unit creates a “unit assessment plan” to facilitate more meaningful and strategic evidence of institutional effectiveness in an effort to more tightly align the College's strategic goals (institutional expected outcomes) with unit goals (expected outcomes at the level of programs and services). The unit assessment plan is configured in a five-column rubric format. 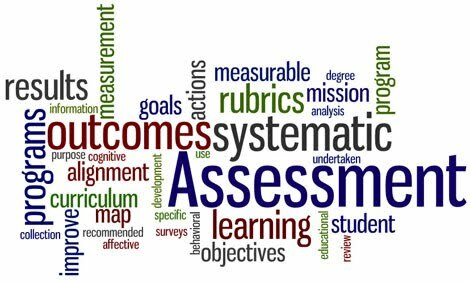 Each column is dedicated to a major component of the assessment process and is intended to assist units in documenting the outcomes assessment process and the development and analysis of the outcomes’ assessment itself. This process balances ease of application with the necessary validity and reliability. The Comprehensive Program Review template was developed as a summative reporting tool for academic program review. This reporting vehicle is for use by University System of Georgia (USG) institutions and the System Office in order to ensure adherence to Board of Regents Policy 3.6.3 Comprehensive Program Review and to enable consistency in executive level reporting to the Board of Regents, the system as a whole, and external constituents. The Executive Vice Chancellor for Academic Affairs requested a task force be formed with representatives from the institutional sectors to design and recommend a reporting template to be used by all USG institutions. The subcommittee on Comprehensive Program Review began its work on July 6, 2015, and completed its charge on June 1, 2016. The task force membership was comprised of a cross-section of vice presidents for academic affairs and institutional research personnel, comprehensive program review committee membership reflected the varied sectors of the university system and perspectives concerning academic program assessment. The goal of the reporting vehicle was to provide both standardization of reporting along with institutional flexibility and consideration of such factors as mission, program variability, level of degree and major, student and institutional inputs and outcomes, and academic unit composition. Practices for assessing student learning outcomes in distance education programs are the same as for on-campus programs. Since distance learning courses are part of the total course offerings within each School, department, and curriculum, the College ensures that they are taught with the same attention to high quality as all other courses. Program faculty uses the same learning outcomes regardless of educational delivery, although the methods of data collection might differ somewhat due to the mode of instruction. In accordance with a USG Board of Regents mandate, all CCGA’s online programs and instruction take place through the BrightSpace by D2L learning management system. All CCGA online programs’ curricula and length, student learning outcomes and assessment measures have stayed identical to their on-campus counterparts. Additionally, to ensure CCGA adheres to the standards set forth by the Southern Association of Colleges and Schools Commission on Colleges (SACSCOC), as well as state and federal regulations regarding online learning, the College maintains a Distance Education Policy. The review process follows the standard CCGA curriculum approval process as if a new degree were being put forward. In this case, completion of the USG One-Step Academic Program Proposal Process is required. However, if the College already has the approval to offer the degree in a traditional classroom setting, there is no additional approval needed to deliver it online. Simply completing and submitting a Notification Form for Additional Distance Learning Delivery of Existing Program to the USG is all that would be required. All new online courses, as a part of the design process, are reviewed based on adopted design standards and rubrics (e.g., Quality Matters) and approved for instruction before students are given access. This design and review process relates to the design and build of the online course and not to the content, which is under the purview of the academic unit. All new and existing courses are submitted to a course review and improvement process on a cyclical basis. The review process engages the appropriate faculty member(s) and the Director of eLearning. This process considers student evaluation of instruction, formative evaluations, and the course design rubric. Exemplary courses are recognized and used as examples for further course development. Accordingly, the assessment of distance education programs is integrated into the review of the whole program using the same assessment and program evaluation procedures described earlier. "The USG core curriculum was developed with the goals of assuring institutional accountability for learning, incorporating learning requirements in global perspectives and critical thinking, allowing institutions some flexibility in tailoring courses to their institutional mission, while ensuring that core curriculum courses completed at one USG institution or through eCore, the USG’s designated online core curriculum, are fully transferable to another USG institution. All core curriculum requirements must be completed as part of the associate of arts, associate of science, bachelor of arts and bachelor of science degree programs." The USG model core curriculum consists of 42 credit hours spread across Areas A – E, as listed in Table 1. In addition to 42 credit hours in Areas A – E, the completion of 18 credit hours in Area F is required for the completion of a transferable associate degree (USG BoR Policy –3.3.6.1 Transfer Degrees). SLO1: Students will produce well-organized communication that exhibits logical thinking, demonstrates appropriate style for circumstance and audience, meets conventional standards of usage, and acknowledges the use of information sources when necessary. SLO2: Students will demonstrate the ability to solve problems and draw conclusions by analyzing situations into numeric, graphical, or symbolic form. SLO3: Students will be able to analyze diversity in thought, communication, technology, or culture in the modern world. SLO4: Students will be able to explain, analyze, or critically evaluate the meanings of texts or artistic works. SLO5: Students will be able to demonstrate the ability to solve problems and draw conclusions by analyzing situations and explaining them in numeric, graphical or symbolic terms. SLO6: Students will demonstrate the knowledge of fundamental scientific concepts, the scientific method, and utilize laboratory procedures to observe natural phenomena. SLO7: Students will be able to demonstrate an understanding of the evolving political, social or institutional developments of the United States. SLO8: Students will analyze the complexity of human behavior and how historical, economic, political, or spatial relationships develop, persist, or change. Students are made aware of the general education requirements for both the associate for transfer and baccalaureate degrees in a variety of ways. The general education courses are published in the 2017-18 College of Coastal Georgia Catalog (p. 81) and included on a program map (by area and number of credit hours required). To ensure the appropriate degree requirements are completed, the College uses DegreeWorks, a degree-auditing, and degree-tracking tool. Assessment resources and best practices have been collected for each level and type of assessment at the College of Coastal Georgia, providing for easy access and reference.